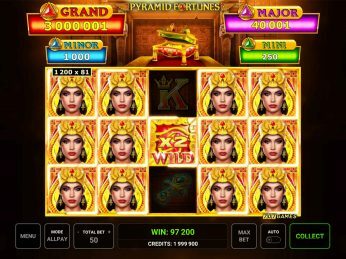 The dunes shift constantly, but the incredible winning chances in Pyramid Fortunes™ always remain high! 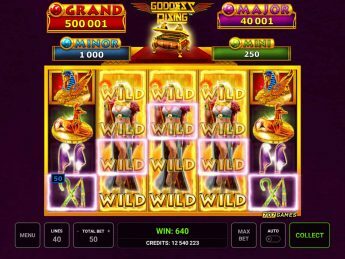 Forgotten treasures, golden relics and mythical wonders are hidden in this online slot – and they could be just a single spin away. 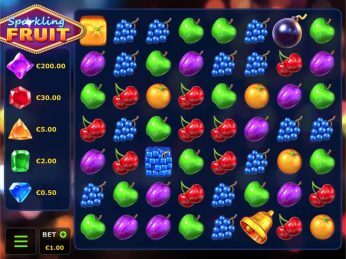 The Free Spins temporarily remove the lower-paying symbols, leaving only big wins! 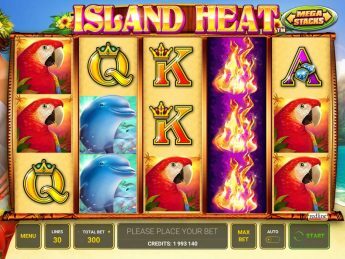 But that’s not all: Players can encounter two different Wild symbols and either one of them guarantees a jackpot when it appears. What’s more, as an added bonus the Blue Wild adds a x2 win multiplier to all winning combinations! It’s time to dust off those whips and adventuring hats! 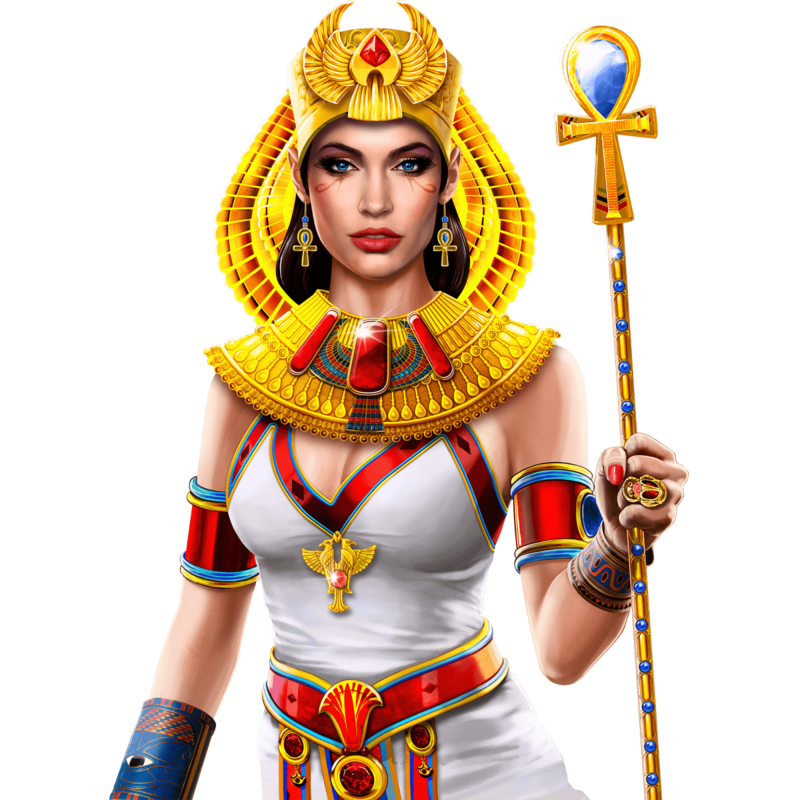 3 or more Pyramid (Scatter) symbols in view award the player with a total of 10 Free Games. The symbol that pay the lowest wins are cleared from the reels: A, K, Q, J, 10 and 9. The Blue Wild (Wild) or Red Wild (Wild) symbol triggers the jackpot feature. The player then gets to choose from among 12 coins, each of which hide a gem. 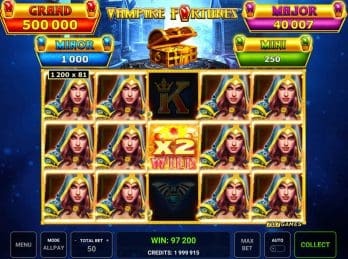 Once three identical gems are revealed, the player receives the corresponding jackpot: mini, minor, major or grand. When a jackpot is won, this feature ends.